Superorganism find themselves listed alongside noteworthy comedians, such as Will Arnett and Tiffany Haddish, on the new Lego Movie 2: The Second Part soundtrack. But you won’t find the art-pop outfit’s usual apathetic vocals and sarcastically garish lyrics on “Hello Me & You.” They’ve been replaced by the vocal stylings of Kidz Bop and the cloying metaphors of a 10-year old child’s attempt at poetry. That’s not to say the track is bad. 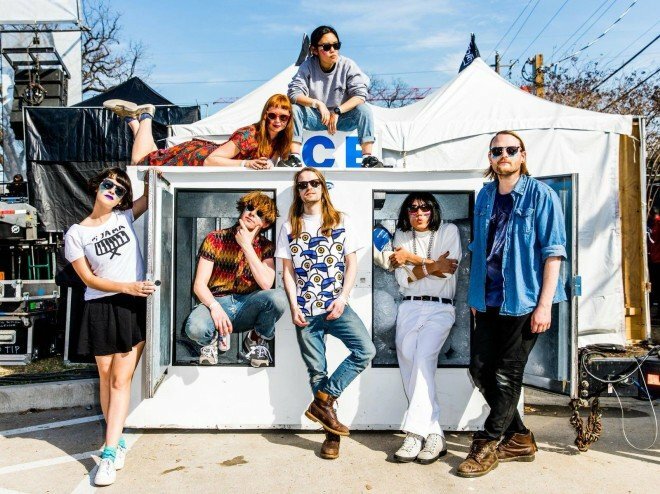 In fact, it’s a perfect display of the self-awareness that Superorganism integrates into their zany, eccentric music. They’ve just taken that self-awareness to another level in this campy new song. It’s a perfectly fitting track for a movie series that is just as comedically conscious of its inherent tropes as Superorganism. Listen below.